Ladang translates to “farm” in the Simalungun dialect. 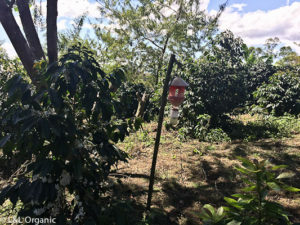 Welcome to the line of premium specialty coffee produced on Isabella’s Farm and processed with great care by L&L Organic. 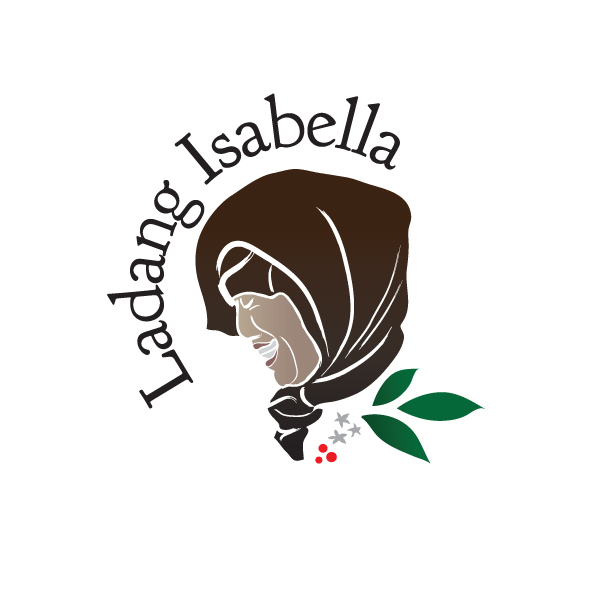 This organic family farm is managed by the lovely Ibu Isabella. L&L Organic have partnered with her and her family to provide guidance and support for their crop management and harvesting. 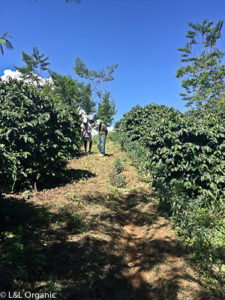 Leguminous shade trees and organic inputs as well as CBB control with beauveria bassiana are part of the program of improvements to build a sustainable high quality crop for a Natural Process and Fully Washed coffee. Each season the processing will alternate. 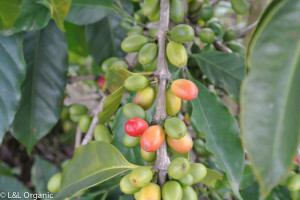 Ripe cherry is handpicked and the quality control is consistent. 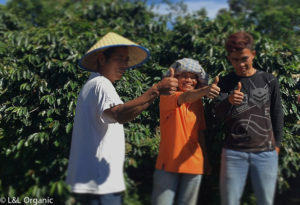 Isabella was honored in March 2018 by AKSI as “Best Farmer” during the IBC competition. We are honored to be part of this work and to thrilled to have the industry show appreciation to dedicated farmers. We hand sort the cherry during the initial wash and continually during the drying process. Placed on raised beds and rotated several times a day for even drying. The cherries are rested before dry hulling and triple picked for defects. An elegant, refined, floral and fruit sweetness paired with a bright cup and balanced body. The famous Sumatra complexity redefined. We sort and pulp the cherry immediately for fully washed coffee. The drying and resting time for the parchment is an average of 21 days here in the highlands of Simalungun. Parchment is dried on raised beds and then rested for increased sweetness and complexity before dry hulling. A clean, sweet coffee with the lighter body and acidity associated with a full wash but still maintaining the flavours and long syrupy aftertaste that define Sumatra arabicas. Contact lisa@lisaandleosorganic.com for samples and availability.